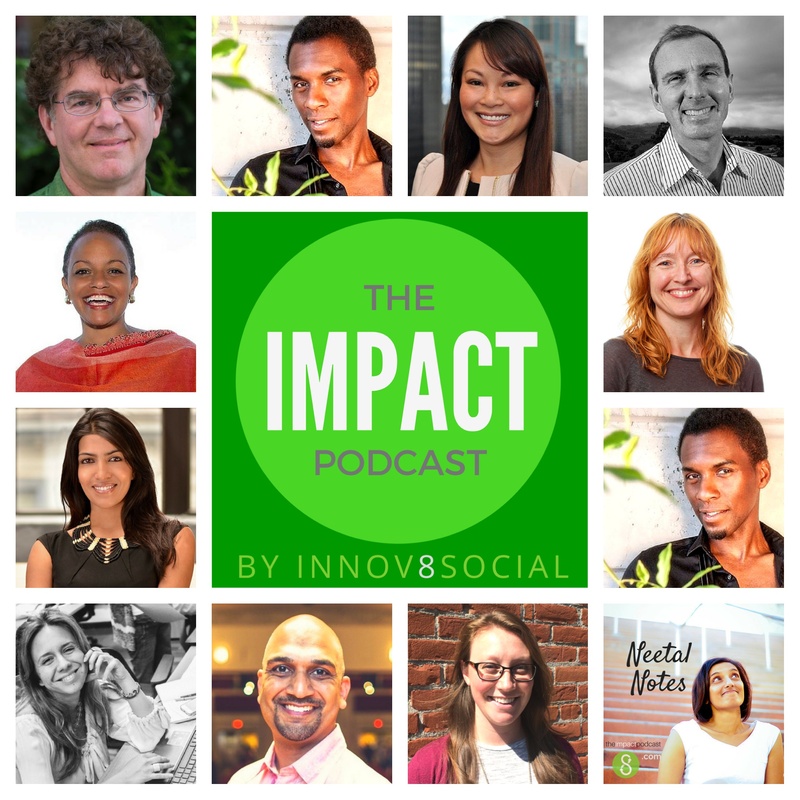 In this episode of the Impact Podcast, Innov8social founder shares her view, that any social enterprise journey has multiple phases or chapters, but somehow no two stories, end up to be the same. But the key thing is to follow the purpose and believing in the solution for the problem. We are going to meet someone who embodies this thought in his social enterprise. In this episode, we will meet Gregor Ruthven. Gregor came with this idea while working as an intern in college. He found that people who involved in civil cases found it really difficult to connect with social services. The services though they existed, people didn’t know how to connect with them or find the right one. Gregor found that, there should be a better way to find and connect with social services. So after Gregor, moved to SFO he met the Innov8social founder and pitched idea of texting service at the “Tech for Good” event. The idea is to built a text messaging service, that automatically connects to right social service in the area. There was an existing service 211 provided by united way, it is like 911 but for non-emergency. It connects people to social services. This service can be accessed by any American. But the problem is that lot of people don’t even know, it existed. The second problem with that was, it was not only inefficient as it relies only on phone calls but there is no information saved. Not only it sent the people to wrong services, it has no capacity to store information as well. Gregor explained, that they had done a good amount of market research. He spoke to a couple of 211 operators at Atlanta and some others across the country. The 211 at Atlanta was excited about the text message service and the automation that comes along with it. Though there were potential buyers for the solution, the investors are not turned on with the idea, as the target market is small. Gregor is more of a strategist and marketer, than a developer and having a team meant a lot of chaos for him. One of the initial founders of this project left in the middle. He found that having a few developers in the team meant a lot as it gave him the idea from cost perspective. Gregor also understood the importance of coming with minimal version, of the tool rather than full version. He understood this, while giving his pitch at the Draper university, where he failed to connect with the audience as the pitch was complex. So they developed a simple dashboard with couple of screens for the operators to login. He also learnt how move forward in the face of failure, while developing this tool. He also felt that, the timing is an important factor for such ideas and having a good team means a lot. Gregor does these impact activities as a part time job, while working full time as a digital strategist for SVP worldwide. Gregor feels that having a full time job, really helps to keep the impact activities going even if there are delays in the project completion and helps to avoid financial crunches. Gregor’s next big ask would be to figure out a way get jobs to the homeless people. You learn more about Gregor and his work from the below section. Gregor feels that timing is the key thing while implementing new ideas. He firmly believes nothing can happen over night and he strongly believes in partnerships.